Attack targeting worshippers in Jerusalem foiled during Yom Kippur. A terror attack on Jewish worshippers in Jerusalem during the Yom Kippur holiday was foiled Tuesday night. An Arab terrorist attempted to stab worshippers and Israeli police officers with a screwdriver on Haneviim Street in the capital Tuesday night just after 7:00 p.m.
Police deployed to the area spotted the terrorist as he lunged at his potential victims, and managed to shoot and neutralize the terrorist. The terrorist was killed by the gunfire. No worshippers or police were injured in the attack. According to police, the terrorist was identified as a 26-year-old resident of the town of Qalandiya between Jerusalem and Ramallah. Authorities say the terrorist had been illegally residing in Jerusalem. 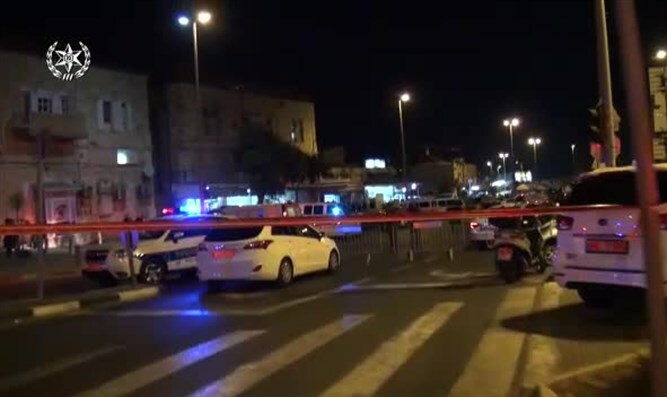 The terrorist is believed to have entered the capital in violation of the general closure order imposed on Judea and Samaria ahead of the Yom Kippur holiday for security purposes. Last Sunday, an Arab terrorist from the town of Yatta south of Hevron stabbed and killed 45-year-old father of four Ari Fuld in a shopping center in Gush Etzion. An American-born immigrant to Israel, Fuld had been a resident of the town of Efrat in Gush Etzion, and was a member of the local first response security team. After being stabbed in the back, Fuld managed to shoot the terrorist before collapsing. He later succumbed to his wounds.